Item # 317157 Stash Points: 2,795 (?) This is the number of points you get in The Zumiez Stash for purchasing this item. Stash points are redeemable for exclusive rewards only available to Zumiez Stash members. To redeem your points check out the rewards catalog on thestash.zumiez.com. 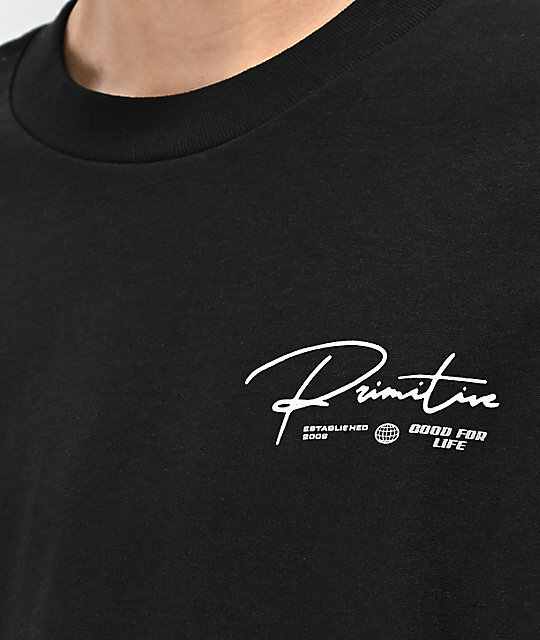 Get a classic skate-inspired look that is full of floral flair with the Primitive No Lies Black T-Shirt. 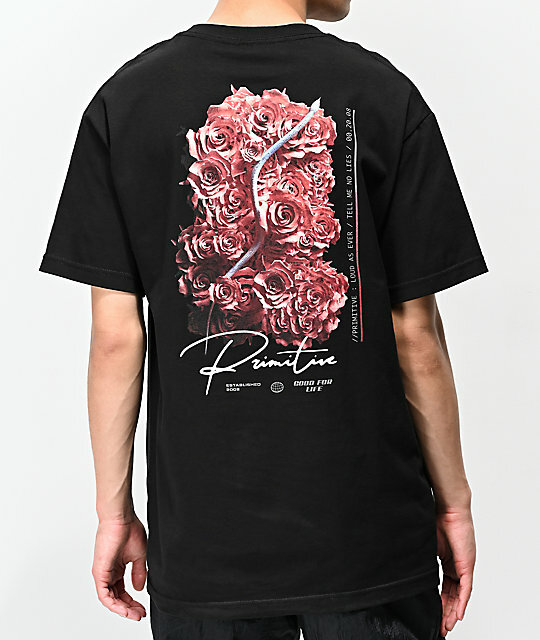 Featuring logo script screen-printed at the left chest in white and a large pink floral graphic on back with additional script below, this shirt is a clean and classic way to show your love for Primitive. 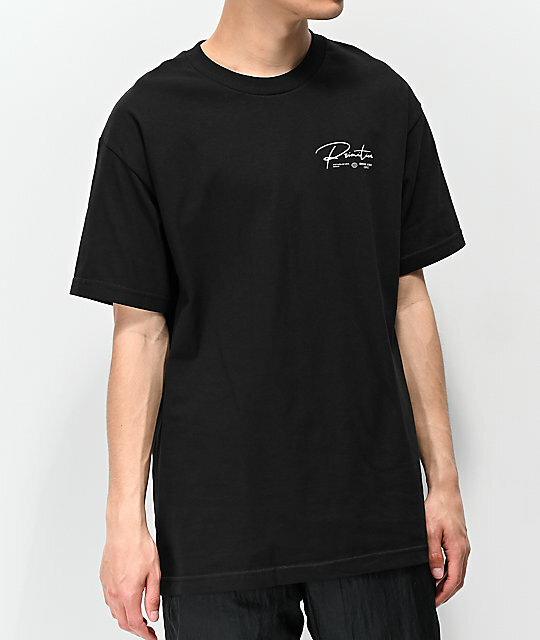 No Lies Black T-Shirt from Primitive. Screen-printed logo script on left chest and floral graphics throughout the back. 32" (81cm) from the shoulder to the bottom hem.